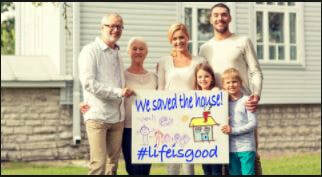 Our association members help other members in providing legal education, related winning and losing cases, statutes, evidence, materials, attorney referrals and solutions to work fear free under the US Constitution in solving their common legal problems primary focusing for now on foreclosure defense and foreclosure offense due to the bank derivatives caused CRASH in 2008-9. Which also created a lot of 3rd party debt collectors with consumers defaulting on the credit and credit card accounts in declaring bankruptcy. 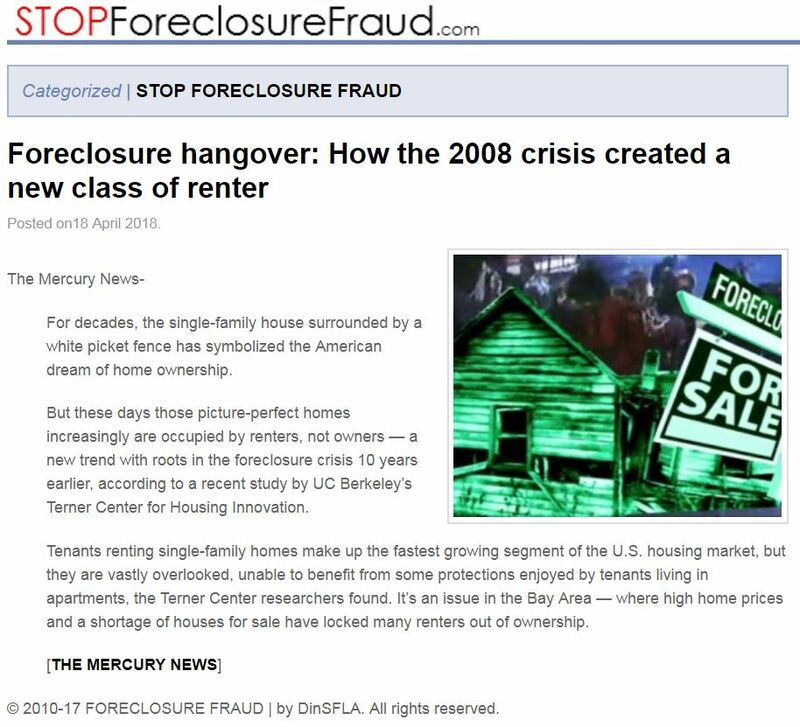 The CRASH was the result of the major banks mortgage fraud crashing the economy in 2008-9 based on securitizing mortgages into derivatives has resulted in over 15.3 million foreclosures nationwide, resulting in 90% or more homeowners or landowners not being able to afford an attorney to represent them to try and save their home. IF THEY COULD EVEN FIND AN ATTORNEY. This has created hundreds of thousands of pro se litigants flooding the courts trying to represent themselves without an attorney. And a new class of renting the "American Dream of Home Ownership" - see article dated 4/18/2018 below. According to foreclosure mill attorneys, for every thousand homeowners foreclosed on, maybe 5-10% can financially afford to retain an attorney (if they can find one that understands foreclosure offense and quiet title and does not demand $3-5,000 down and $1,000-1,500 a month for starters), most - 80-90% - put the keys on the kitchen counter and walk away without showing up at court. The rest with no other choice, maybe 5-10% wind up representing themselves "Pro Se" in either federal or state court or both. This has contributed to an increased open-mindedness about alternative law and legal education and support to both one-two attorney foreclosure defense law firms and to those homeowners who cannot afford an attorney to proceed as pro se litigants. People who deliver alternative law/legal help for financial healing such as document preparers, legal educators, legal researchers, law clerks, law school grads and paralegals need protection to work legally in the "public sector". They can however in the "private sector" as members of this ACPSJ Private Membership Association without fear of facing criminal charges for "practicing law without a license" because they are not practicing but instead educating and providing support services to private members only. American Center for Pro Se Justice Private Members Association, www.ACPSJ.com and www.ACPSJ.org, shows how ala carte LEGAL services can help and heal financially our members in peace, protected under the U.S. Constitution. Well reasoned and intelligently designed Private Members Association's make an excellent case for needed alternatives in the highly controversial world of attorneys, the BAR, our courts and legal systems. Our association is based on www.ProAdvocate.org which helps practitioners of alternative medicine, alternative legal, alternative buying, alternative investing etc., to become a Private Members Association like Sam’s Club, Costco, Boy Scouts of America for private members only rules, regulations and law.